According to Billboard, GRETA VAN FLEET's latest single, "You're The One" has topped Billboard's Mainstream Rock Songs airplay chart. It is the band's fourth No. 1, following "Highway Tune", which ruled for five weeks beginning in September 2017; "Safari Song" (three weeks, beginning February 2018); and "When The Curtain Falls" (one week, November 2018). "You're The One" is taken from GRETA VAN FLEET's debut album, "Anthem Of The Peaceful Army", which landed at No. 3 on the Billboard 200 chart in July despite earning a lukewarm 53/100 score on review curation site Metacritic. The 10-song set was recorded primarily in Nashville, while some of the material was written in an isolated cabin in the mountains near Chattanooga. 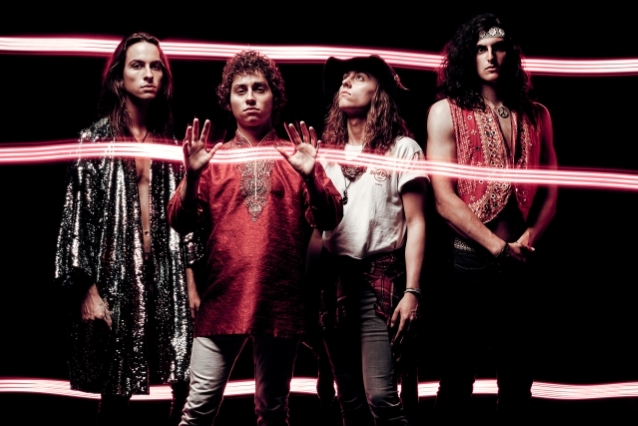 In December, GRETA VAN FLEET scored four Grammy Award nominations, one for each major rock category — "Best Rock Album", "Best Rock Song", "Best Rock Performance" — and a "Best New Artist" nod. They went on to win for "Best Rock Album" for their sophomore EP, "From The Fires". GRETA VAN FLEET was founded in 2012 by brothers Josh Kiszka, Sam Kiszka and Jake Kiszka, plus the sole non-brother member Kyle Hauck, who has since left and been replaced on the drums by Danny Wagner.